As many as 449 people attending a ceremony last Sunday (Nov 28) signed a pledge to donate their organs after death to the National Coordination Center for Organ Transplantation. 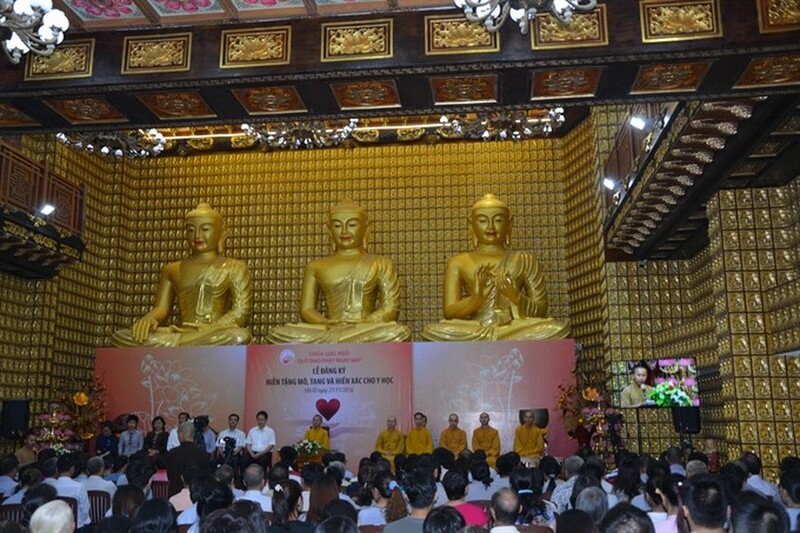 The center, along with the Buddhism Fund, organized the ceremony at HCM City’s Giac Ngo Pagoda to encourage organ donations. According to Nguyen Hoang Phuc, deputy head of the center, more than 16,000 people in the country have serious heart, kidney, liver and lung problems that could require organ transplants. More than 300,000 people have cornea problems which need surgery. Phuc said there was a shortage of organs for transplantation. The ceremony to encourage organ donations is held regularly by the national center at various locations in the country.